Coffee was discovered over 1,000 years ago. One of the most popular Coffee stories ever told is of a goat herder named Kaldi from Yemen. He noticed that many of his tribe were eating the leaves and some of the red berries from a local plant. Curiosity got him to try some of the berries and he noticed he felt energized afterwards. Word of his encounter spread quickly and people started experimenting and cultivating on plantations. Coffee was eventually made into a drink. Reputation of this special drink began to travel and the coffee trade flourished. Arabians became aware of how important and powerful trade of this amazing bean was and began cultivating it themselves. The coffee trade collapsed around the 17th century when a man spirited some green beans out of Arabia back his homeland of India. 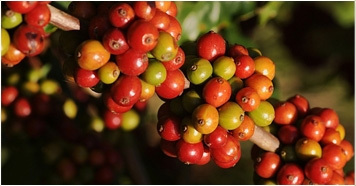 From there, coffee trees continued to spread around the world as Ethiopa, East Africa, Indonesia, South America and Central America all began growing thier own. Coffee comes from diverse places all over the world and every time you have a cup of this incredible product, you can imagine yourself traveling back to the fields where it was grown.